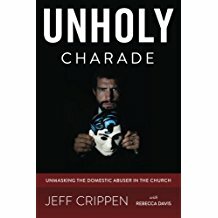 Currently, we are seeing churches and organizations jumping on the band wagon of supposedly exposing domestic and sexual abusers in the church and coming to the aid of their victims. Occasionally these claims are genuine, but most frequently they are false efforts to “cover the bases” and preserve the institution. After all, there is an increasing outcry against evildoers hiding in and even leading churches and supposedly Christian organizations. The Southern Baptists, for example, are under the gun and rightly so. So in such a climate you can expect that the guilty will start trembling a bit. They have plenty of skeletons in the closet in which they have enabled abusers and disregarded the pleas of abuse victims, so they do what I call a “pre-emptive strike.” They hold conferences on abuse. They make announcements about how they are the defenders of the abused. And they do so without repentance. By that, I mean they do not come humbly broken, confessing their many sins and wrongs they have dealt to the innocent, confessing that they are ignorant of these evils and have been duped by the wicked. Oh no. Suddenly THEY are experts to whom we are all to go now for help and aid. Recently I received just such a claim. It comes from Faith Bible Church in Spokane, Washington. This is a John MacArthur, Jr. church in that the pastor was trained at The Master’s Seminary and teaches at a TMS satellite. If you have read my books, you know that John MacArthur has consistently taught that divorce for abuse is forbidden by God. Below are the outline points of two messages given by the lead pastor of Faith Bible Church, Dan Jarms, and his associate, Brian Sayers. Following these two outlines I have included the Faith Bible Church Doctrinal Elder Paper on marriage, divorce, and remarriage. I could go on and on pointing out to you how these two sermon outlines and doctrinal paper evidence clearly that Faith Bible Church’s claim to be a friend to abuse victims is false and that in fact, this church has not truly changed its positions at all. Don’t be naive. The claims here that divorce is permitted for abuse are going to be practically (in practice) denied when it comes right down to a victim divorcing her abuser. Rather than, as I said, going on at length regarding my criticisms of these things, I have simply bold-faced one major, plain evidence of falsehood that is repeated throughout the outlines and paper. This one persistent demand made by this church is all we need to know to be able to conclude that the church is in no way truly repentant of past wrongs to victims and that in fact its supposed “change” is feigned and false. As you will see, this single demand is that abuse victims are required to place themselves under the authority of the pastor and elders and are not to proceed with divorce, separation, or any other action without the church’s authorization. I can tell you that anyone who does this is going to find themselves further oppressed and wrongly controlled by church leaders who arrogantly claim this privilege for themselves but who are ignorant of the evils which oppress the victim. THIS is the most certain proof that a church like this and pastors and elders like these men have not fundamentally changed at all. That is to say, they are continuing to demand that abuse victims place themselves under their authority, never acknowledging the history (as is easily found in MacArthur’s teaching and practice) of dealing out injustice to victims and enabling the wicked. They are not humbled in other words. They remain arrogant. This is plain Pharisaism. I will also underscore several other portions of these documents that I am convinced demonstrate that these men in this church do something else absolutely unbiblical and damaging. Namely, they treat the abuser as a Christian. Thus they proceed with the idea that they are going to rescue the marriage, fix the abuser, and all that this requires is their counseling and that the victim “gut it out” in the abuse “for the glory of God.” All Christians, you know, (say these pastors) can be abusers and an abuser can be a Christian who simply needs to “make war on entitlement mentality.” Absolutely false teaching. Of course I know they will deny these charges and say I don’t know what I am talking about. Well, so be it. I do know what I am talking about. You are never going to instruct, teach, disciple an abuser who has been faking it as a Christian all along into a godly, loving spouse. Not gonna happen! And yet you will notice the total absence of any of that truth here in these documents, with no mention at all of God’s plain command that we put such counterfeits out of the church (see 1 Cor 5). Dr. Dan Jarms is teaching pastor and team leader at Faith Bible Church in Spokane Washington, as well as associate dean at TMS Spokane…. He earned his B.A. in English at the Master’s College, B. Ed. at Eastern Washington University , MDiv and DMin in Expository Preaching at The Master’s Seminary. Titus 2:4 and so train the young women to love their husbands and children. Keep the love of Christ in constant view. Become a Romans 12 friend/spouse. Make war on an entitlement mentality. Ephesians 4:15 Rather, speaking the truth in love, we are to grow up in every way into him who is the head, into Christ, 16 from whom the whole body, joined and held together by every joint with which it is equipped, when each part is working properly, makes the body grow so that it builds itself up in love. Colossians 1:28 Him we proclaim, warning everyone and teaching everyone with all wisdom, that we may present everyone mature in Christ. 29 For this I toil, struggling with all his energy that he powerfully works within me. Brian Sayers is the Pastor of Discipleship and Counseling at Faith Bible Church. How should we define abuse? 1. God’s design is for one man to be married to one woman, for life. Gen. 1:27 …male and female He created them. Gen. 2:24 & Eph 5:31 Therefore a man shall leave his father and mother and hold fast to his wife, and they shall become one flesh. 2. The foundational requirement for Christian marriage is that a believer should not marry an unbeliever. 2 Cor. 6:14-18 Do not be unequally yoked with unbelievers. For what partnership has righteousness with lawlessness? 3. A couple must have a pure relationship if they desire to know God’s will about marriage. 1 Thess. 4:3 For this is the will of God, your sanctification: that you abstain from sexual immorality. 4. Those preparing for marriage should also be mature and responsible so that they can meet the appropriate biblical expectations of the partners in marriage. 1 Tim. 5:8 But if any one does not provide for his own, and especially for those of his household, he has denied the faith, and is worse that an unbeliever. 1. Marriage was established by God to be a life-long, intimate, covenantal relationship between one man and one woman (Genesis 2:18, 24; Malachi 2:14; Proverbs 2:17). Jesus issued a general guideline that what God joins together, man should not separate (Matthew 19:6; Mark 10:9). 2. Christians must exhaust all biblical means to preserve their marriage. Permanence in the marriage relationship has been, and always will be, God’s ideal and intention. 3. While every divorce involves sin, not every divorce is sinful (Jeremiah 3:6-10; cf. 1 Corinthians 7:15; Jeremiah 31:31-32; Deuteronomy 24:1-4). 4. This pursuit of permanence may involve enduring a marriage that is less than God’s ideal (1 Corinthians 7:12-14, 16; 1 Peter 3:1-2). The desire for God’s glory must supersede one’s desire for comfort or happiness. This principle would not require someone to indefinitely endure unrepentant acts that constitute biblical grounds for divorce (see biblical grounds below). Decisions must be made under the spiritual care, counsel, and authority of the elders. 5. Divorce may be permissible, but is never commanded. Two believers should always be willing to pursue repentance and reconciliation as part of a life seeking to honor God. 6. Biblically allowed divorce implies the right before God to pursue biblical remarriage. They must seek the counsel and care of church leadership in this process. personal understanding of these biblical principles, and a careful repentance for all involved. explanations of those two broad biblical categories. 1. Divorce is allowed in cases of unrepentant sexual immorality (Matthew 5:31-32; 19:8-9). • The “sexual immorality” referenced (Greek, porneia), is broader than adultery, and would include the litany of sexual sins listed in the Old Testament (specifically Leviticus 20:10-21). • This provision may also include other violations not specifically mentioned, but which are similar in nature. To constitute biblical grounds for divorce, the sexually deviant behavior of this kind must be continual and unrepentant. • Evaluations and decisions must be made under the spiritual care, counsel, and authority of the local church elders. 2. Divorce is allowed when an unbelieving spouse abandons the marriage covenant (“unbelieving” may be determined by their profession, or through the application of church discipline). • The unbeliever leaves. First Corinthians 7:12-15 clearly teaches that when an unbelieving spouse “consents to live with” the believer, then the believer should remain married to them. When the unbelieving spouse separates/leaves, however, the believer is not bound to the marriage covenant. desire to separate or divorce.